Fruits blend so successfully with chocolate that most fruits merit their own chocolate theme week. * And bananas certainly deserve to be near the top of the list as they are, by many estimates, the most popular fruit in the world. Welcome to the first day of Chocolate and Banana Theme Week. 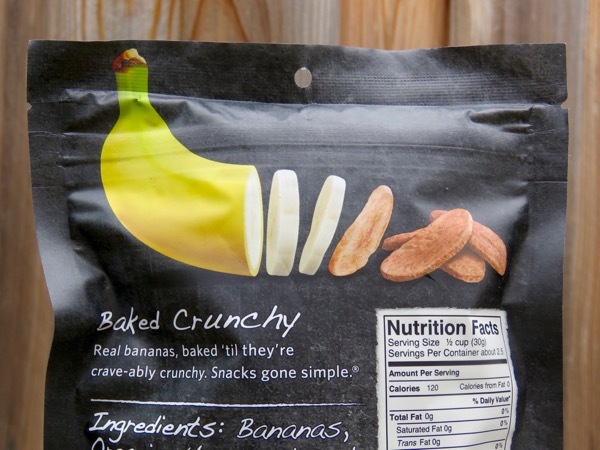 Naturally Bare Co. (San Francisco, CA) offers a large lineup of healthy, simple snacks, including three flavors of banana chips. Today's two-ingredient Cocoa Banana Chips (bananas, organic unsweetened cocoa) had no added sugar and were, light, baked, crunchy, fat free and gluten free. 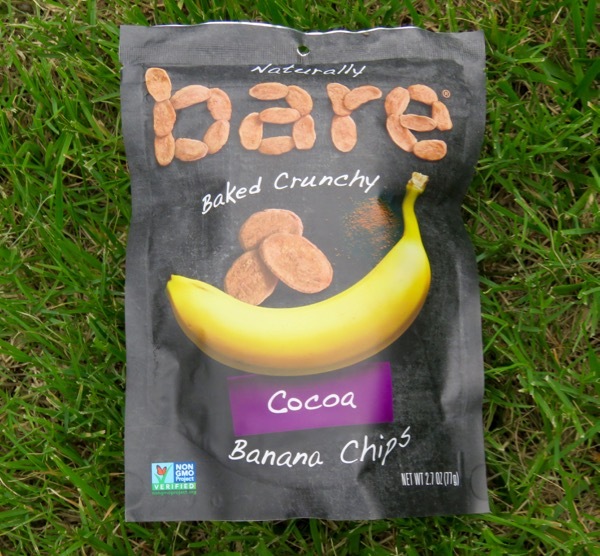 When I lightly shook the unopened bag, these cocoa-colored chips made a sound like impossibly weightless, other-worldly glass shards in the package. However, they were very edible and tasty. 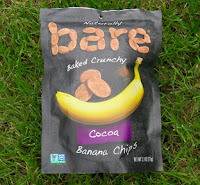 The chips were refreshingly natural and light, with light cocoa flavor. 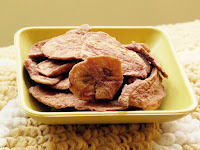 The primary taste and texture, once gently reconstituted in your mouth, was one of natural banana. *Over the last 10+ years Chocolate Banquet has featured many chocolate theme weeks dedicated to chocolate and...cherries, oranges, berries, pomegranates, limes, strawberries, lemons, raspberries, blueberries, figs, bananas, mangos, grapes/raisins, goji berries, and a few fruit salad and fruit cocktail theme weeks.